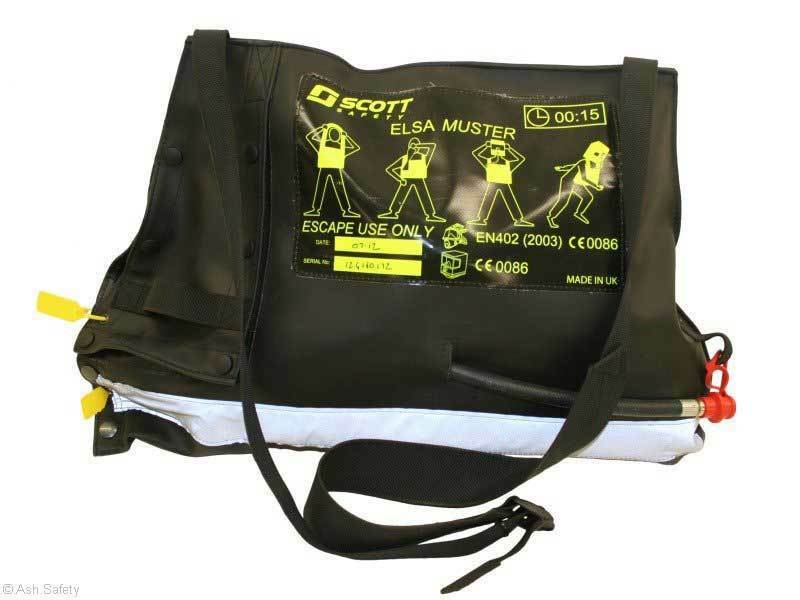 The Muster 15 minute escape set has several major differences from the normal hood type escape sets. 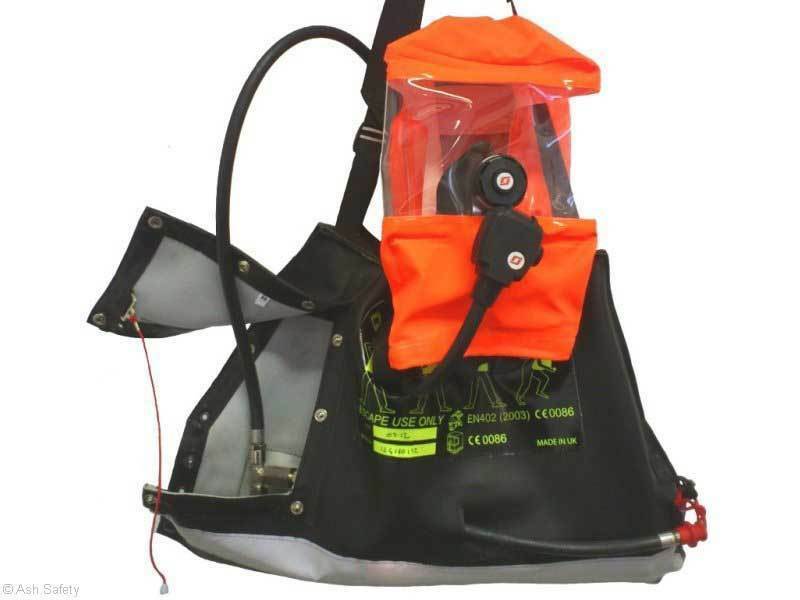 The hood is supplied by a demand valve rather than a constant flow. 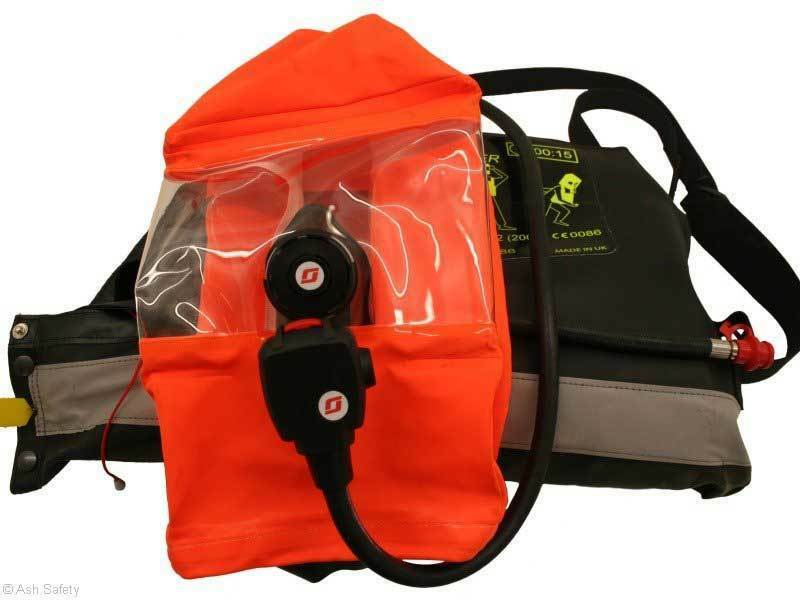 This ensures that personnel cannot out breathe the supply and hence draw the hood towards and in some cases onto the face. It does though pose other problems as the set is now able to offer all the air that the escape requires. 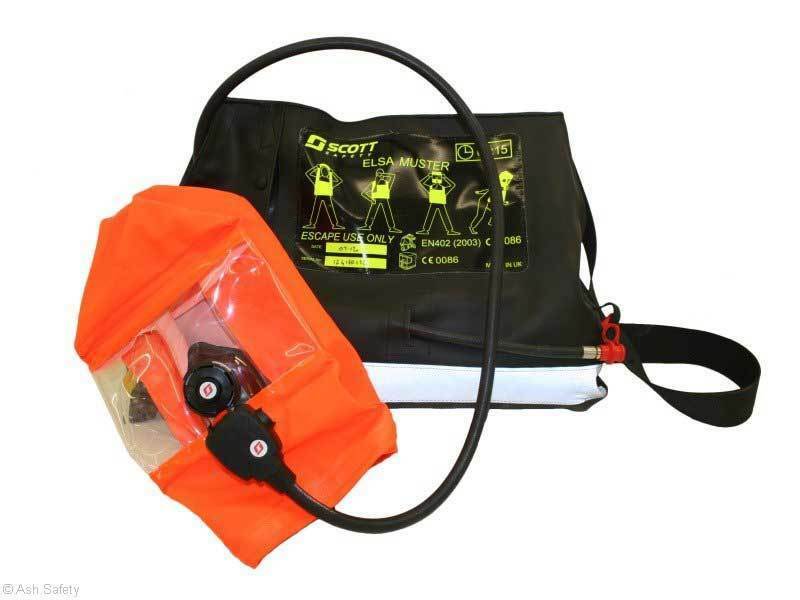 This means that if the person escaping starts to hyper ventilate that the escape time can be dramatically reduced from the stated amount as this duration uses a set rate of 40 litres per minute. So factor this in to any risk assessment that you are doing.